Tickets are $45 each and are available at the link above, on our website, or at the door the night of the event. 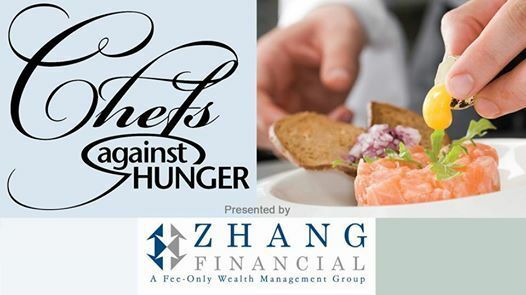 Ministry with Community is excited to announce the 13th Annual Chefs Against Hunger event presented by Zhang Financial! 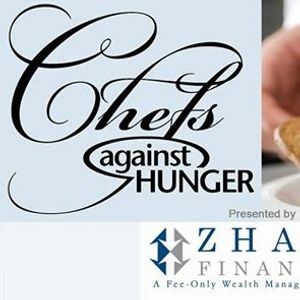 On Tuesday, March 26th, 10 of the best chefs in Kalamazoo will go head-to-head to see who can prepare and plate the most creative and delicious three-course meal in under 45 minutes. To support their effort, each chef will be assisted by a local celebrity sous-chef. A panel of judges will decide the winning team based on their use of a secret ingredient, which won’t be revealed to them until the competition begins. Join us at Cityscape Events Center from 5:00pm - 8:00pm, and witness what these incredible chefs come up with while you enjoy a variety of appetizers and desserts from area restaurants, a cash bar, a raffle, and a memorable night with your friends. Don’t forget to tip your favorite team at the event! The chef and sous-chef duo with the most money in their tip jar will take home the People’s Choice Award. Contact Megan Stull, Volunteer & Operations Coordinator for more information at bXN0dWxsIHwgbWluaXN0cnl3aXRoY29tbXVuaXR5ICEgb3Jn or 269.343.6073 x134.